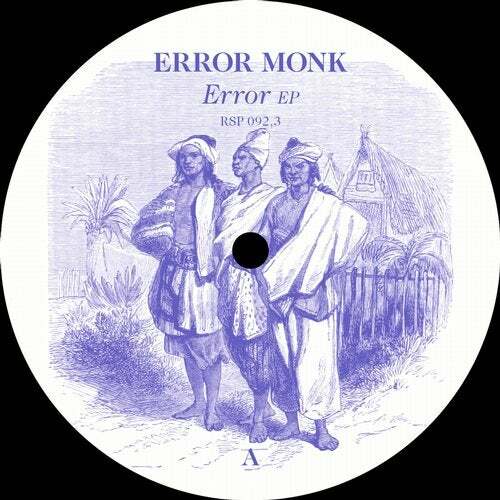 Irish resident and producer Error Monk releases his first EP on the Resopal label, ERROR EP. It's a deep, spacious andambient-out affair that stays locked at a pleasingly sedentary tempo throughout.Right from the rolling bliss of the opener, you're suspended in a womb-like pillow of sound that is soft, warm and serenelybeautiful. As tracks roll on, the pace stays the same but themes vary from upright and summery to more elongated and insular.This is natural, organic ambient that is a delight and a pleasure to listen to. Overall, this is a brain-soothing and mind-melting EPthat can soundtrack lazy days, long summer afternoons and warm winter evenings in equal style.